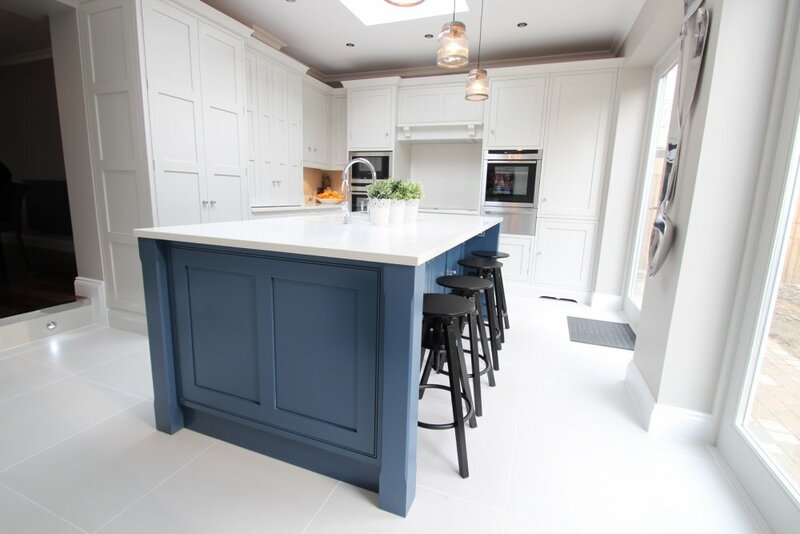 The mid-blue of the centralised island in this Sussex kitchen gives an edge to the otherwise traditional design of recessed shaker panels. 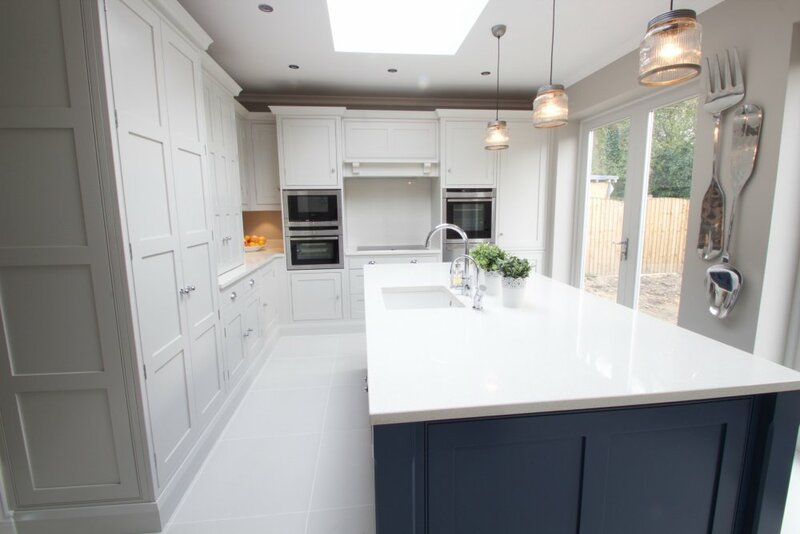 The skylight ceiling window floods the room with natural daylight during the day, so the various pendants, spotlights, wall lights and under cabinet LEDs are only needed by night. 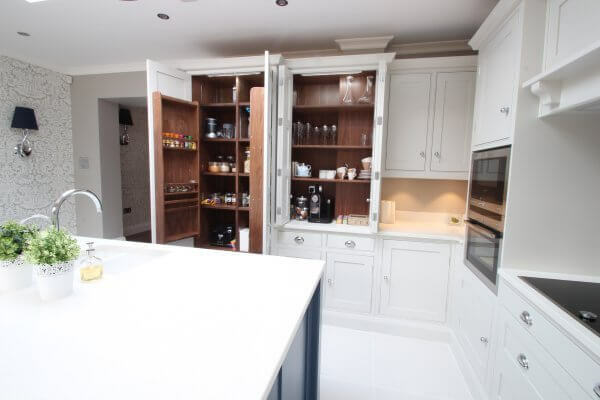 This was the first set of kitchen larder cupboards we installed. The walnut cabinet interior, when on view, warms up the light grey of the cabinet’s hand-painted exterior. 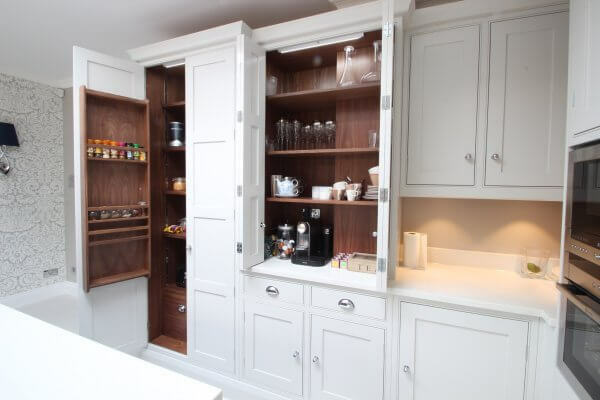 The beauty of these larder cupboards is how well they conceal the coffee machine, toaster, Nutribullet – all the smaller kitchen appliances we love to use but don’t want to see during the evening, particularly when entertaining. 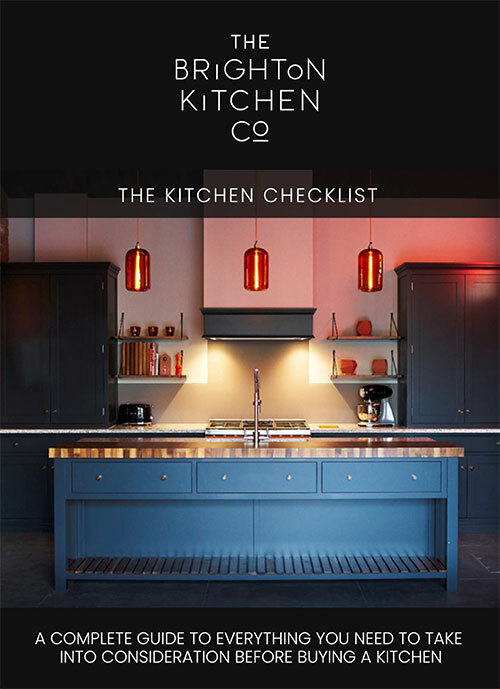 The black of the Neff appliances are cleverly tied in tonally with some modern, matt black height-adjustable stools, making this island bar a perfect spot for all the family.